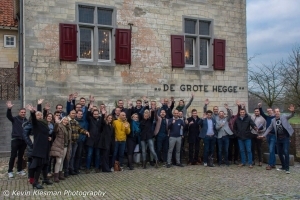 From 8.00 a.m. until 8.00 p.m., twelve whole hours, Pascale has had the honor to participate in De Droommachine (The Dreammachine) in De Grote Hegge in Thorn, an initiative of Joop Wolters, founder of PlekC. 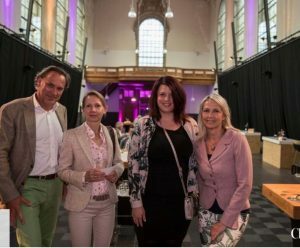 Together with 38 top entrepreneurs in Limburg she experienced a day full of inspiration and connection. A day during which many a small and large dream was fulfilled. And a day full of emotion because she saw how much (com)passion still exists for fellow human beings. It was a day full of positive energy that will linger for quite some time. 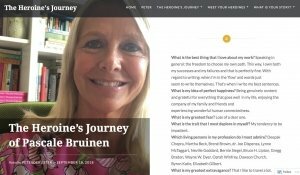 Today, a personal portrait of Pascale has been published in ‘Heroine’s Journey’, a beautiful and inspiring initiative to bring an homage to women who have chosen to do what they love best. Big thanks to Peter de Kuster who has approached Pascale for this! NB: Picture had to be a selfie, in case you’re wondering why there is such strange light etc. 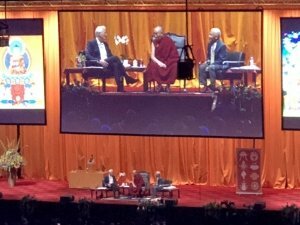 Today Pascale had the privilege to attend a lecture by His Holiness the Dalai Lama in Rotterdam. 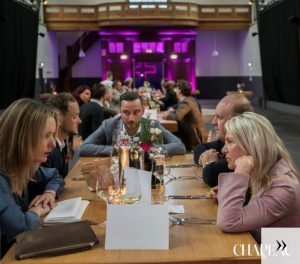 Networking dinner organized by Chapeau Magazine at Rebelle in Maastricht. Inspiring people and excellent food! Photographs courtesy of Chapeau Magazine, photographer Harry Heuts. 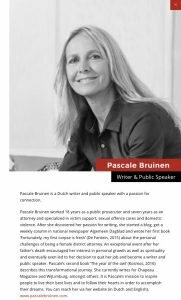 Pascale is honored to be one of the speakers during the Bed Talks 2018 of the Student Hotel Maastricht, an initiative for making the world a better place. This now takes place in several locations in The Netherlands as well as in different European cities. During these talks, two inspiring people are matched to have a meaningful conversation while lying on a bed, visitors are of course more than welcome to listen. Pascale’s ‘bedpartner’ is Sheila Oroschin, who is the founder of ‘The Masters’, an organisation that helps young people who are ‘different’ to discover and develop their talents. Pascale was a participant of the ‘Night of Journalism’ at the Daelhemergroeve in Valkenburg aan de Geul. 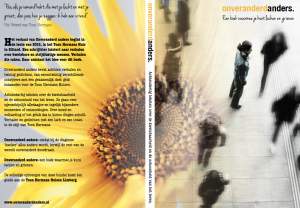 Today the book “Onveranderd Anders” (Unchanged Changed) has been published, a crowdwritingproject of several writers and poets out of the province of Limburg, amongst whom yours truly. 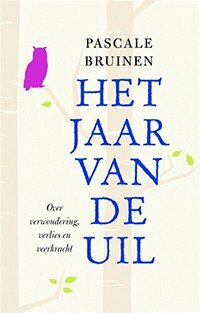 The proceeds go to the Toon Hermans Houses in Limburg, because they do so much beautiful work for cancerpatients and their loved ones. 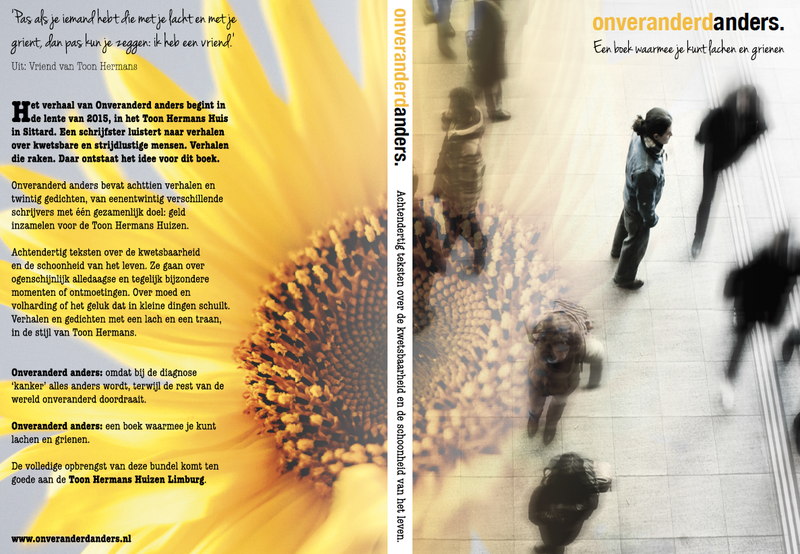 It has become a wonderful book that provokes smiles as well as tears. Just in style with the late Toon Hermans (a famous Dutch comedian and poet). 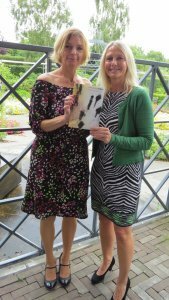 Here you see Pascale with author Andrea Germeraad who took the initiative for this crowdfundingproject and made it a success. 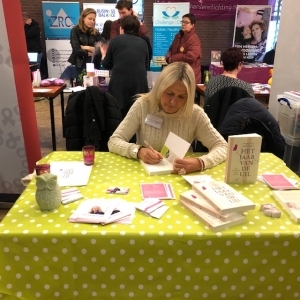 Pascale’s contribution to the book is a personal story entitled ‘Sisters for always’. Today was the launch of the TEFAF (The European Fine Art Fair) edition of Chapeau Magazine. 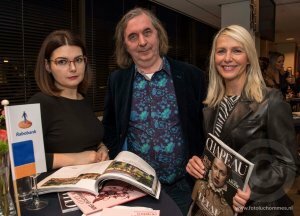 In this picture, Pascale’s standing next to the Russian artist Alexander Taratynov and his wife. A very successful evening! 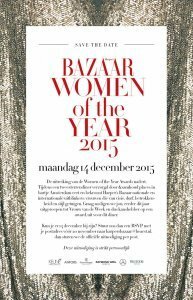 Gala Night of the Dutch Harper’s Bazaar Woman of the Year Award 2015. With this Award Gala, the iconic magazine honours ‘the world’s most remarkable women (…). Women with vision, guts, engagement and style. 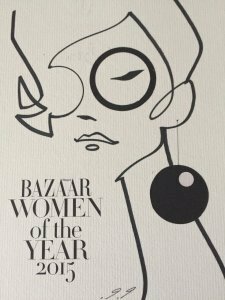 Game changers and pioneers.’ With the Woman of the Year Award, Harper’s Bazaar ‘brings an homage to women who have done something special within their field of expertise….’. 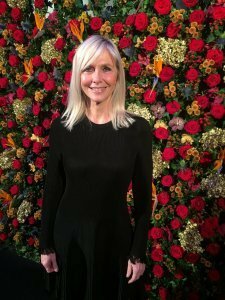 Pascale is one of the nominees because Harper’s Bazaar has ‘enormous admiration for the careerpath’ that Pascale follows. Looking back, it was a wonderful and memorable night, even though the Award eventually went to actress Sophie Hilbrand and well-deserved! And so Pascale returned home with her head held high, full of pride and gratitude to have been a part of this inspiring group of women. 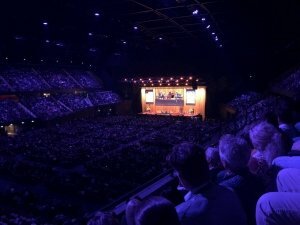 What is Challenge Day The Netherlands? Challenge Day The Netherlands is a non-profit organisation that wants every child to live in a world where she can real safe, loved and cherished. The mission of Challenge Day is to give young people and their community experience-workshops and programmes that teach them the power of connection, appreciation of diversity, authenticity and self-expression. It has a permanent impact because the Foundation offers life changing lessons and skills. The Foundation offers also a yearround programme that stimulates young people to change their schools in a positive manner. Next to this, also teachers are trained to support young people in their social and emotional health and development. Challenge Day The Netherlands strengthens bonds. It creates a community to which all young people and adults belong. Young people are also helped to learn not to judge and to be openminded towards others, especially towards those that are in any way ‘different’ (source: www.challengedaynederland.nl). During the charity gala of 26 October 2015 a lot of money was raised for this Beautiful cause. It was an honor for Pascale to be a part of this wonderful evening!